The protests that have now led to the ouster of Sudan’s president, Omar Al Bashir, have been dominated by women. Day after day, on the streets of Khartoum, as many as two-thirds of those who turn out have been women. Photos of women — angry, defiant, celebratory — have become the emblems of the uprising. Various segments and groups of Sudanese society have taken part in the protests. People from different political, ethnic, religious and social backgrounds have participated in the protests, culminating in a historic sit-in at the headquarters of the Sudanese Armed Forces. But women — always — have been at the forefront. 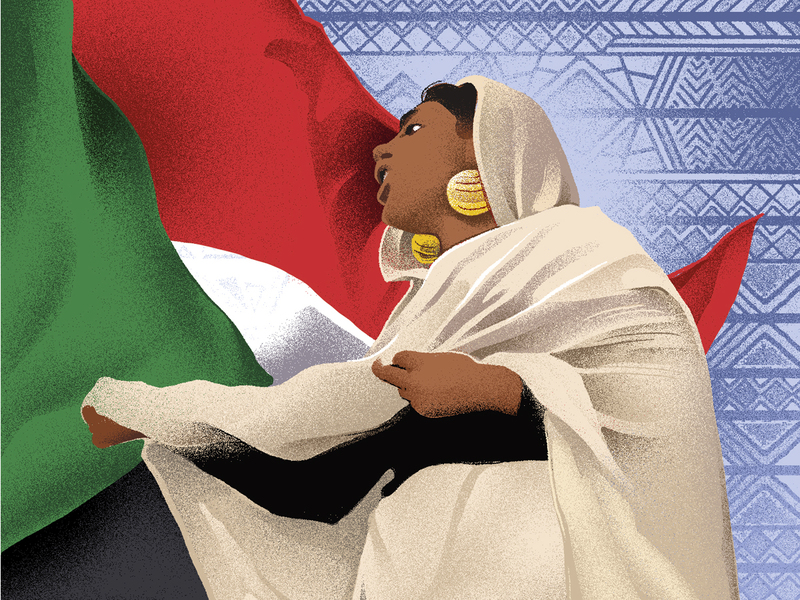 There is an overarching reason, stemming from the role of women in Sudanese society. But there are particular reasons, too: the ferocious oppression that women have experienced under the previous government as well as the hardships that they felt as the economy deteriorated. But perhaps a stronger motivation is the oppression that women in Khartoum and other major cities, experienced in the past. Under the provisions of the public order law (passed in 1992 and amended in 1996), women could be arrested, detained, beaten and imprisoned for wearing indecent clothes, such as trousers or short skirts, going out with their male friends. Especially victimised by this law were women from poor communities who worked, for instance, as tea and food vendors. Having typically fled conflict zones, they are more vulnerable than most and can rarely afford bail when arrested. Unlike women from affluent communities, they have not drawn much attention from the local or international media. In conflict areas outside Khartoum, the oppression against women was more severe, as most of the human rights violations in these districts were committed against women and their children. They have been subjected to violence by militias. They were, in some instances, driven from their homes and put up in camps for internally displaced people in Darfur and elsewhere. It was because of this that displaced people, the majority of whom are women, joined demonstrations in support of the uprising. Their sons, brothers and husbands can leave the country to work abroad in the Gulf or elsewhere; and many do, because there are few employment opportunities in Sudan, and most of the jobs go to the supporters with relatives in powerful positions in the government. But as women stay behind to care for their families, they have developed a stronger sense of obligation to challenge the power that has caused their suffering. Nasredeen Abdulbari is a noted Sudanese academic, author and lawyer. He previously taught law at the International and Comparative Law Department, University of Khartoum.